The 2018 Ford Aspire facelift comes with cosmetic updates, a host of new and updated features, and two new petrol engines. 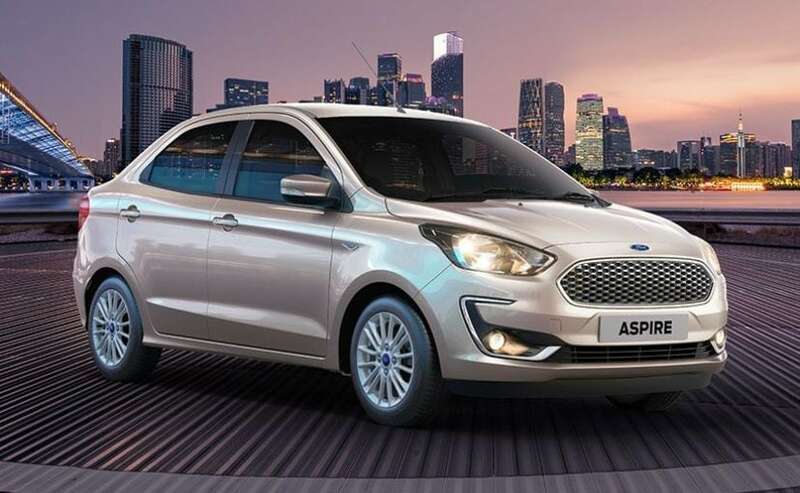 Ford India has finally launched the much anticipated 2018 Aspire facelift in India priced from ₹ 5.55 lakh to ₹ 8.49 lakh (ex-showroom, Delhi). The car has received an update of this measure after over three years from the launch of the car. 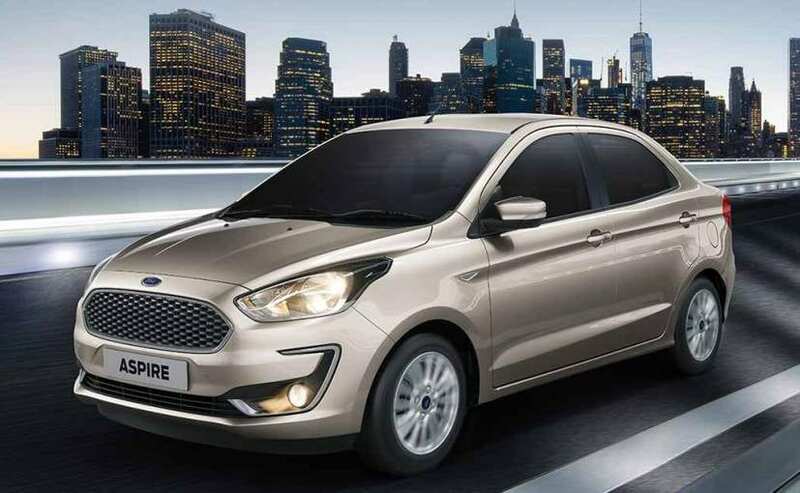 Touted as one of more good-looking and well-equipped offerings in the subcompact sedan space, the 2018 Ford Aspire facelift comes with cosmetic updates, a host of new and updated features, and two new petrol engines. 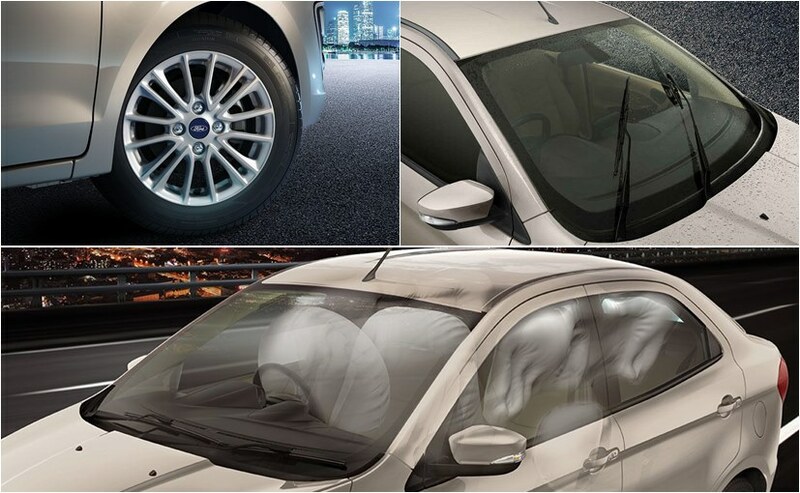 Here we list down some of the key features that the 2018 Ford Aspire facelift brings to the sub-4-metre sedan space. The 2018 Ford Aspire comes with some considerable cosmetic updates, especially the exterior. Among the new updates, the car gets a new grille with optional silver treatment and chrome surrounds. The facelifted Aspire also gets redesigned headlamps with a new cluster and mild smoked treatment, along with a new bumper featuring an edge-to-edge black design element that housed the new wider airdam, round foglamps and C-shaped chrome inserts on either end. The ORVMs have also been updated and the car now features a set of new larger multi-spoke 15-inch alloy wheels. The taillamps have also been slightly tweaked, adding to the new styling. While the facelifted Aspire comes with a similar beige and black interior treatment, the seats have been designed to offer better lumbar support. The car also gets a redesigned dashboard featuring a new 6.5-inch touchscreen infotainment display which is a floating unit similar to the ones on the EcoSport and Freestyle. The centre aircon vents have been repositioned and the car now also gets lesser buttons and knobs for in-car controls. The rest of the cabin is pretty much identical to the pre-facelift model. The top-end variant comes with Ford's popular SYNC3 infotainment system equipped with Apple CarPlay and Android Auto, along with emergency assistance. 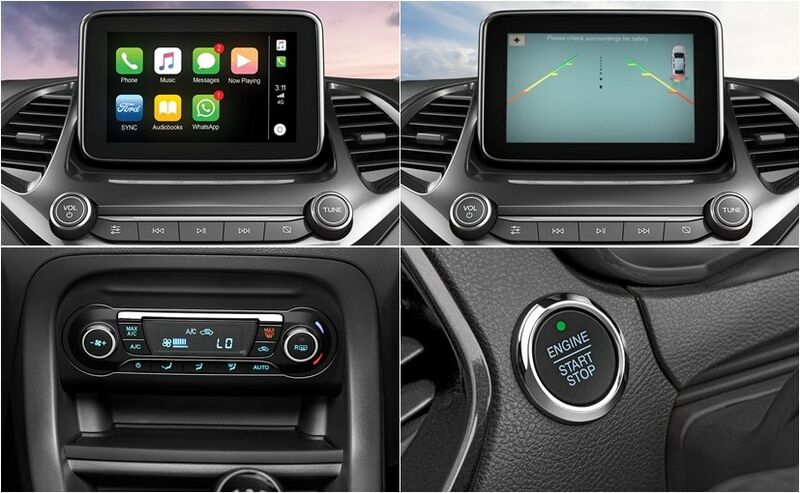 The lower-spec variants - Trend+ and Titanium trims get a 7-inch basic touchscreen display with embedded navigation, Bluetooth, Audio FM + USB. Other features include rain-sensing wipers, push-button start, automatic headlamps, automatic climate control, and more. 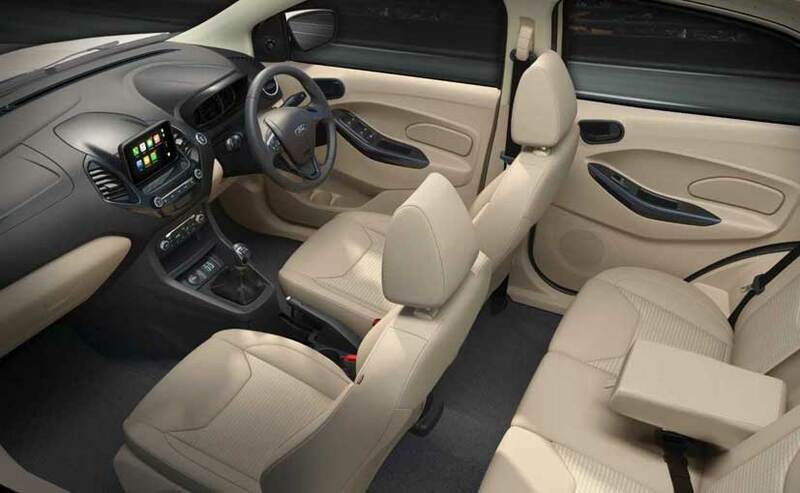 The safety features include dual front airbags and ABS with EBD, rear parking sensors, and seatbelt reminder for driver and front passenger as standard across the variant range. The higher variants get rear parking camera and perimeter alarm, while the top-end model gets six airbags and emergency assistance, while the AT petrol trim gets, hill launch assist, electronic stability programme, and traction control system. 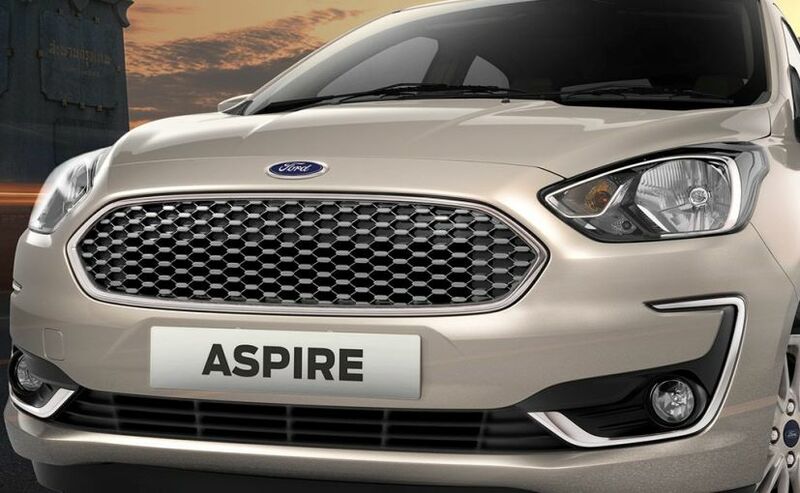 The 2018 Ford Aspire, like the pre-facelift model, will come with two petrol and one diesel engine option. Both the petrol engines are from the new dragon series - the 1.2-litre three-cylinder unit that was introduced with the Freestyle, and the 1.5-litre three-cylinder unit that was introduced with the EcoSport facelift. The former makes about 95 bhp and develops 120 Nm of peak torque, while the bigger 1.5-litre unit offers 123 bhp and 150 Nm of torque. The 1.2-litre unit comes with a 5-speed manual gearbox as standard, while the latter comes equipped with the 6-speed torque converter. The diesel variants of the car will come with the tried and tested 1.5-litre TDCI engine that powered pre-facelift model. The 1498 cc, four-cylinder oil burner makes 99 bhp at 3750 rpm and develops 215 Nm of peak torque between 1750 to 3000 rpm. The diesel engine comes paired with the same 5-speed manual gearbox as standard.